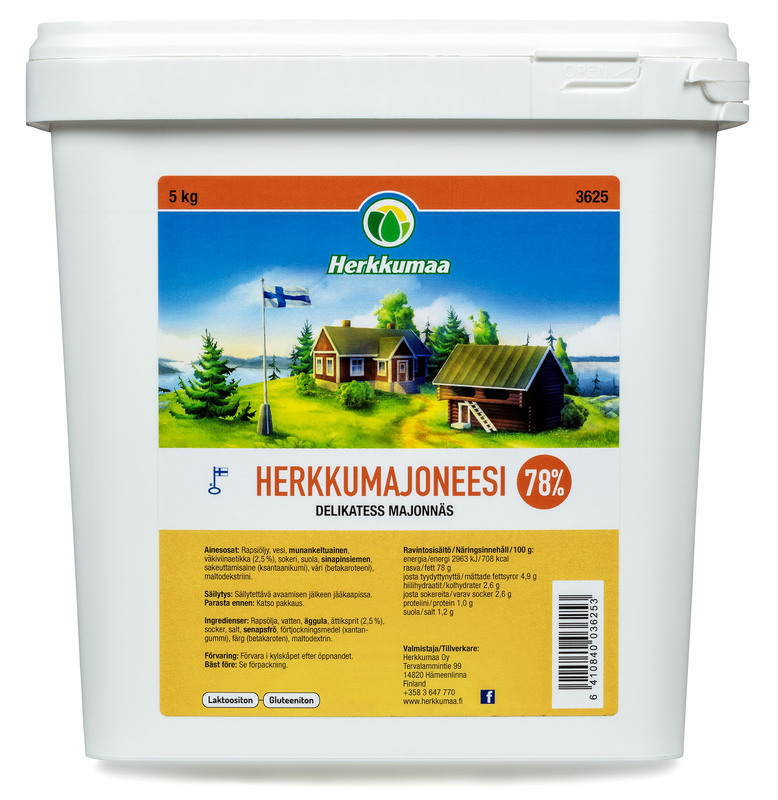 Herkkumaa’s Herkkumajoneesi is a tasty, multi-purpose mayonnaise. 78 percent fat content gives it a smooth, full-bodied texture, and the taste is nicely rounded. Herkkumajoneesi suits as well salad and cooking as a condiment for any dish. Packed in an angular 5-kilogram box, which saves up to 33 % space compared to round containers. 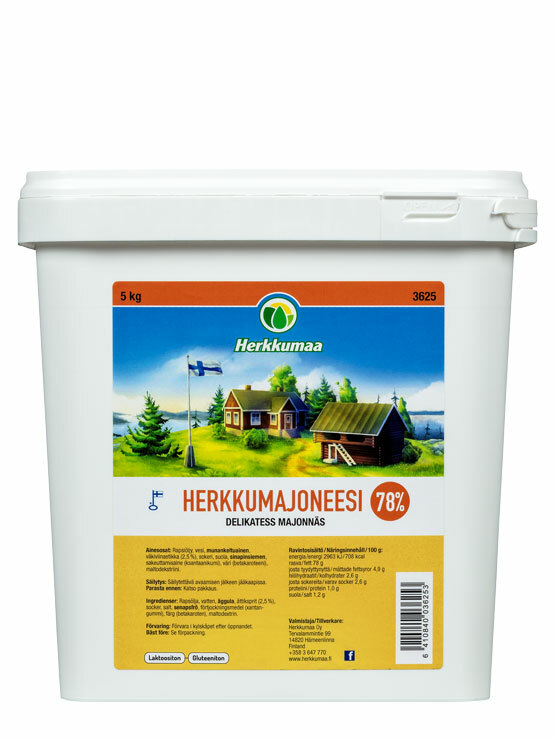 Ingredients Rapeseed oil, water, egg yolk, vinegar sugar, salt, maltodextrin], salt, mustard seed, thickener ( xanthan gum), colouring (beta-carotene), preservative (potassium sorbate), maltodextrin. Storage Keep refrigerated +2–+6°C after opening.